Austin TX, March 20, 2019 – On March 18, 2019, the Modular Building Institute’s (MBI) membership voted to confirm Falcon Structures CEO and co-founder, Stephen Shang, to its Board of Directors. Tom Hardiman, executive director of the MBI, has also appointed Shang to co-chair the MBI’s Government Affairs Committee. 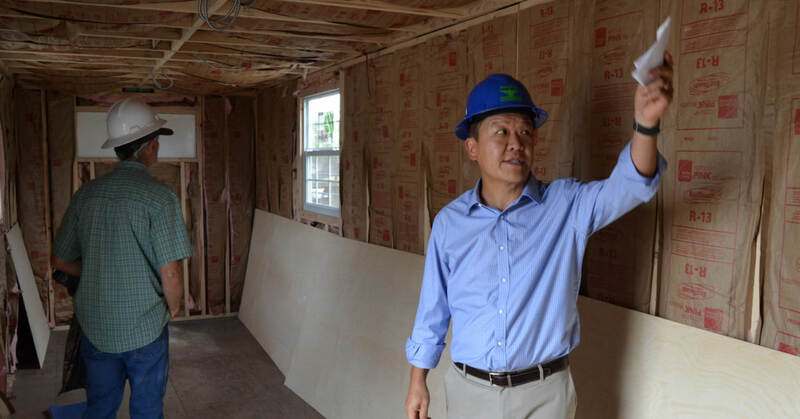 “I’m honored to join Modular Building Institutes’ leadership during this exciting time in our industry,” said Shang, “As a board member, I plan to build on the foundation of cooperation we established with the International Code Council through our efforts to incorporate shipping-container-based structures into the building code." Shang’s company, Falcon Structures, is a leader in using modified shipping containers as modules for modular construction projects. The company’s most notable project, a stadium constructed using 122 of Falcon’s modified container modules, won first place in the Permanent Modular: Assembly or Institutional category of the MBI’s 2018 Awards of Distinction. Over the past three years, Shang has been an active member of the MBI. In addition to speaking at the MBI’s World of Modular conference on four occasions, he has served as co-chair of the MBI’s Shipping Container Task Force and led fruitful efforts to make inroads with the International Code Council (ICC). Thanks in large part to the Container Task Force’s work, ISO shipping containers will be formally incorporated into the 2021 International Building Code (IBC). In 2018, the MBI recognized Shang’s significant time commitment to the institute’s initiatives with the Volunteer of the Year Award. “Stephen has made remarkable progress for shipping container-based structure building codes in just three years. He’s a welcome addition to our board,” said Hardiman.